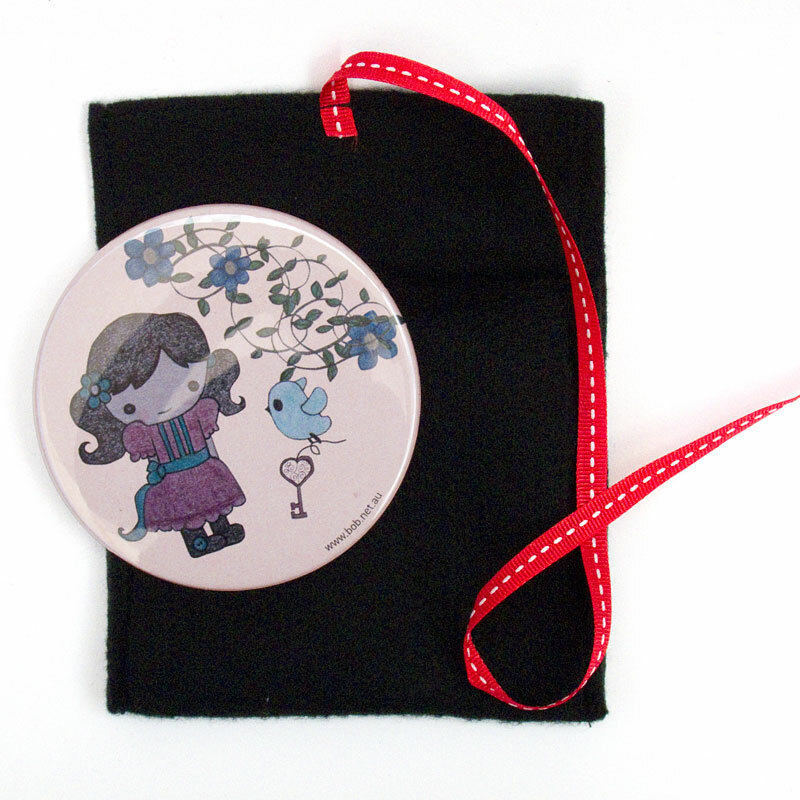 A cute pocket mirror in a hand stitched felt pouch - perfect for your handbag! Sonia Brit of Bendigo's Bob Boutique has a range of bags & accessories that give you a taste of her shop & gallery. If you visit Bendigo, you MUST stop by! Bob Boutique is located in the lovely Shamrock Building in the centre of town. This round pocket mirror is approx. 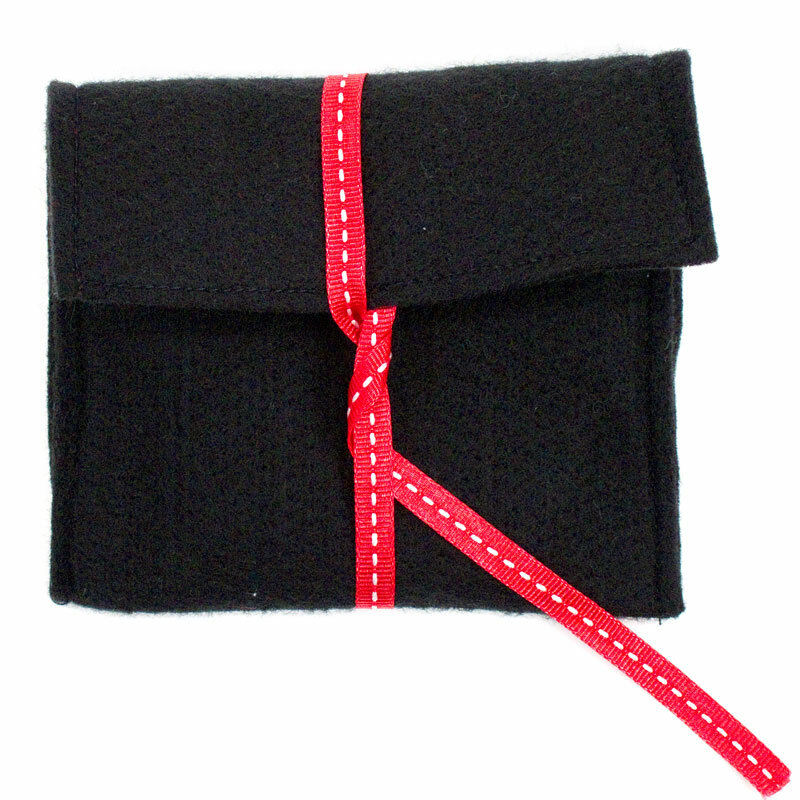 8.5cm in diameter and comes in a black felt pouch with red ribbon. 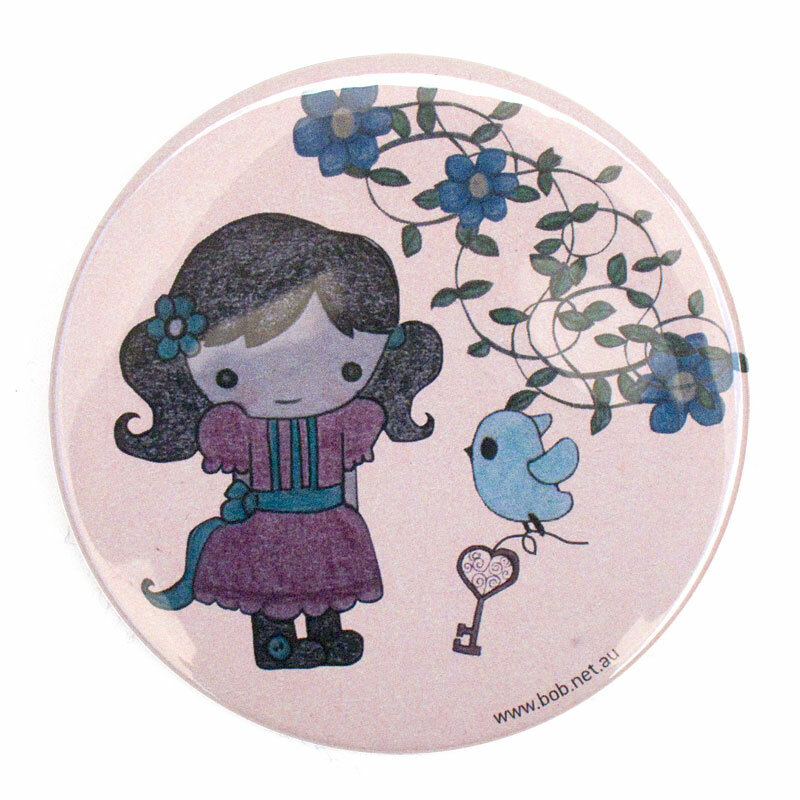 It features Sonia's illustration of a sweet girl and a birdie with the key to a secret garden.